Digital Tycoon / USI-TECH – Is It A Bitcoin Bonanza | Checking For A Scam, So You Don't Have To. Hey everyone how’s things on this hump day? I hope everyone is in a great mood today. I as usual was scrolling through my emails and came across this money making venture calls Digital Tycoon. This is supposed to be a Free membership and the system is advertised, as a way to make Bitcoin Daily. There other claim is that this system is responsible for creating crypto millionaires, faster than anything else online. Our partner in success is James Jordan I believe he is the creator of the program I will find out for sure and let you know before the end of this review. This wealth building technology can be done with only a laptop or smart phone and an internet connection from anywhere in the world. Michael Fast has been working from home for the past 27 years and teaching people to make a passive income. This system makes money while you sleep and this income is not only dependent on 100% of your own effort. He calls himself a digital nomad because he has lived on 4 contents and over 60 countries. He is going to share with us the most exciting wealth building opportunity that has come along in the 30 plus years he has been doing this. It is very simple, fun, and extremely lucrative. The technology that they are saying will have the greatest impact on the future world economy is here, it may not be what you would think. It’s not about self driving cars, solar energy, or anything else you may think of. It’s called Blockchain. Bitcoin and the other Cryptocurrencies that are using Blockchain technology are the next financial revolution. He is going to share with us an opportunity that can help us profit from the very lucrative cryptocurrency market. Can you imagine putting your money to work, on autopilot, and creating wealth this would leave you free to enjoy all the things that really matter to you most. Just imagine generating wealth without you having to actively participate in the creation of the actual profit making. What they did is look for a Bitcoin opportunity, that has a proven track record of helping people create wealth. What their goal was, to find a company that was founded by people with a proven track record of creating wealth for others. The important thing was transparency about how they were to create profitable outcomes for their customers was of the utmost importance. It was imperative that this company had to be well capitalized with financially independent, experienced and very credible owners. Of course and most importantly, there had to be a commitment that this opportunity had to be not only legal as well as compliant with international laws and regulations. They actually found a company that had created an astonishing 18 millionaires in just its first year of operation. This company had 450K+ people that chose to earn Bitcoin all day, every day while they were working, sleeping, or even playing all on autopilot. What the ended up finding, was a company well on its way to becoming a billion dollar company in less than 2 years of their operation. The company that they found is creating returns in the Crypto Currency Market, diversifying into mining, trading and arbitrage. Can you imagine earning returns daily paid in Bitcoin, starting from an initial investment of as little as 50€. Can you imagine receiving 140% payback, paid at an average of 1% every working day, on every 50€ pack that you purchase. The great thing is you can earn daily returns but you can also withdraw your earning every day. The other option is you can buy more 50€ packs using your daily returns, this will further compound your net results. So take a look at this, if you were to take 100% of all your returns, and then compounded them by buying more of the 50€ packs for entire year, you would multiply your initial investment up to as much as 5X. 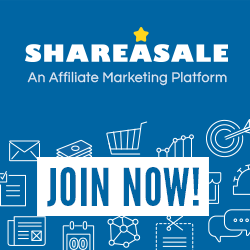 As I said in the beginning of this review an affiliate account is free, this account enables you to start earning bitcoin daily. You can do this just by sharing this opportunity with other people. All you need to do is to start sharing this opportunity with others you have the chance to change lives and at the same time multiply your daily income. So the claim is with this very simple proven system they will show you how regular people are creating 5 and 6 figure incomes monthly. So they introduce us to USI_TECH this is supposed to be the future of cryptocurrency. What makes USI-TECH unique, it is building a Blockchain ecosystem. This is destined to be a global success story that is built around simplicity. USI-TECH has 3 ways to diversify the wealth you are building, and best of all minimizes the risk while still maximizing the profitability. As they added before you can start earning daily returns, and begin building wealth with as little at the 50€. (Option 1) Your first option is to purchase the 50€ Bitcoin Packs, this will provide you with daily returns from mining, trading, arbitrage and more. (Option 2) The second option is to purchase 50€ Forex Packs, in order to profit from the 5.3 trillion dollar a day Forex market, and its all set on auto pilot. (Option 3) Is to purchase 50€ Token Packs of Tech Coin, USI-TECH’s new cryptocurrency. The company is only as good as the people behind it these are the 3 founders. The founders of USI-TECH are Horst Jicha (COO), Mike Kiefer (VP of marketing), Ralf Gold (CTO USI-TECH). USI-TECH offers 2 different ways to participate and benefit. You can pick which option will be the best benefit to you. So the $64,000 question is? What can you earn as a new member? All members earn 10% commissions on personal sales of packs. To earn on even more levels personally refer more people who purchase a total of 12 Bitcoin Packs or more. The system looks up to a max of 12 qualified levels in the Uni-Level to see who is qualified to earn commissions from the sale. What this means is there is potential to be paid on more than 12 levels due to Dynamic Compression where people who are Not qualified to earn below level 2 are excluded. Simple product choices – 50€ pack model. Simple choice of sign up – Consumer or Affiliate – Free Registration. Simple pay plan? – The get 12, with 12, and your paid on 12. Register for a Free USI-Tech Account. Purchase our bitcoin products and enjoy daily returns. Compound your returns and accelerate your earnings. Share this simple, yet great concept, with others – Everyone can benefit with USI-Tech. I have to say what I hear from Mike Kiefer, I like he says don’t worry so much about making the money. The money will come if you put your mind to helping others. His advice is to be yourself be honest because you have a great product there is no need to lie. Mike says he started from scratch, he made calls did webinars and just tried to help people. Always do more than others, and never stop when you stop the business will stop. Always think of it as not who you can sell this to think of it as who would you want to take on this journey. Focus on go getters you want to find the best people not just get someone to just join. But, you have to remember you have to put in the time, also have a reason for doing this have a goal. Even if you don’t have money to spend on the product you can still make money not as much, but you can build up money and then buy the product. So you can register for free not purchase any of the products get people to invest and you can be earning a monthly passive income with no investment of your own. They do have all contact information on the website so that is a big plus they are not hiding that information. The Bitcoin packs are very new so there isn’t enough track record or history. Although the Forex side of the business is doing well, and is set up well. They do need some time to show absolute proof of the Bitcoin results, this is understandable. I don’t believe this is a scam, but like with anything you need to feel comfortable. Always remember that trying to get ahead without taking any risk puts you back in the same place. I hope this breaks things down for you, if you would like you can click on the link to learn more about USI-Tech. Thanks for your visit to my site, if you have any questions or comments please leave them below. If you have had some experience with USI-Tech we would all love to hear about it.